The Georgian city of Bath might be best-known for it’s graceful architecture and Roman heritage, but it’s also a city break location that’s packed with contemporary cafes, regional food and quirky shopping streets that’ll keep you busy for days. I’m the first to admit that I’m terrible at exploring my home country. Somehow, making the most of where I live can pale into insignificance when I get excited about planning another trip abroad. So, I’m making a definitely-not-a-new-years-resolution-because-it’s-only-December. I want to better know my own little piece of England. First on the list? The beautiful city of Bath. 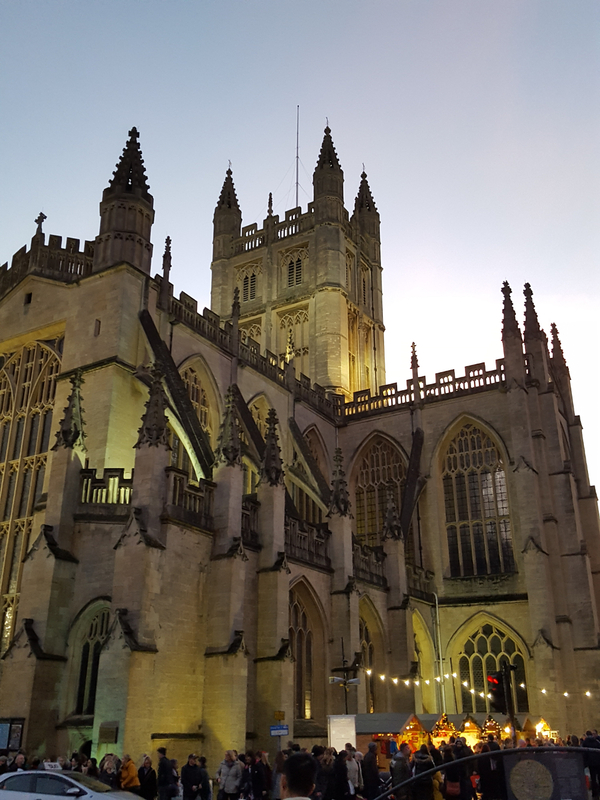 What’s so great about Bath? Bath is a picturesque little city in rural southwest England whose petite size means that it’s just right for exploring in a day. Packed with independent cafes, local restaurants, stylish shops and stunning Georgian architecture, it’s a delightful getaway that offers something for everyone. Set in the heart of the lush green county of Somerset, it’s also surrounded by idyllic countryside. Old-fashioned market towns full of cream-coloured sandstone cottages pepper the local landscape and make Bath feel a million miles away from London. That said, it’s also surprisingly easy to reach by train from Bristol, Cardiff or London – or by road from much of the southwest. The city is best known to many for its Roman baths (the reason for my only previous visit, almost twenty years ago) and Georgian thermae spa – where you can still indulge in the authentic spa experience. But, these weren’t on the cards for our visit one misty winter morning. You only need to step into the warren of streets lined with higgledy-piggledly sandstone shopfronts and Georgian arcades to know that there is much more to see. So, what can I do in Bath? 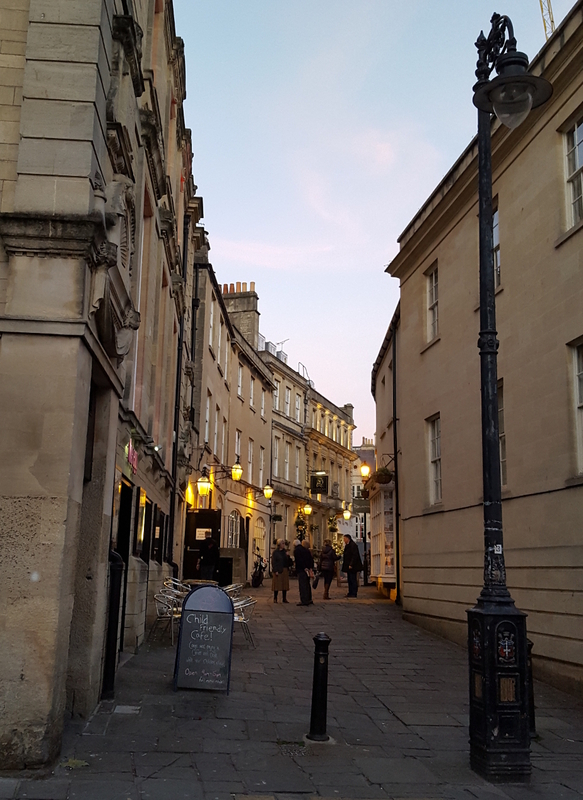 I’m not a big shopper, but Bath has a delightful mixture of high-end stores, quirky independent retailers and British high-street stalwarts. Look out for the Corridor – an elegant glazed gallery of shops and restaurants – and Bath Market, which is still home to a quintessentially British mixture of old-fashioned market traders. The facades alone are worth seeing, even if the stylish window displays aren’t enough to lure you in. As someone who rates drinking-coffee-whilst-eating-pastries pretty highly on my list of favourite activities, we found that Bath spoilt us rotten. Independent coffee shops and bakeries seem to be on every street corner, tempting us with sweet and savoury delights. We started our day by heading straight to The Thoughtful Bread Co where we grabbed coffee and a most delicious apple crumble pastry. Had we been staying in town longer it would have been a perfect stop for a lazy brunch or to stock up on their artisan breads for a gourmet picnic. On the opposite side of town is Made by Ben, where you can enjoy your coffee and pastries (in this case homemade sausage rolls: mine was packed with flavoursome, roasted butternut squash and goats cheese) sitting next to the coal fire in the snug, looking out over the rooftops from the window. And if you want to grab something caffeinated and locally roasted, stop at one of two Society Cafés in town. Pull up a stool at the window to watch the world go by, and order a hot chocolate made with luscious Willie’s Cacao. Once you’ve had your fill of deliciousness, simply stroll the beautiful streets and passageways. 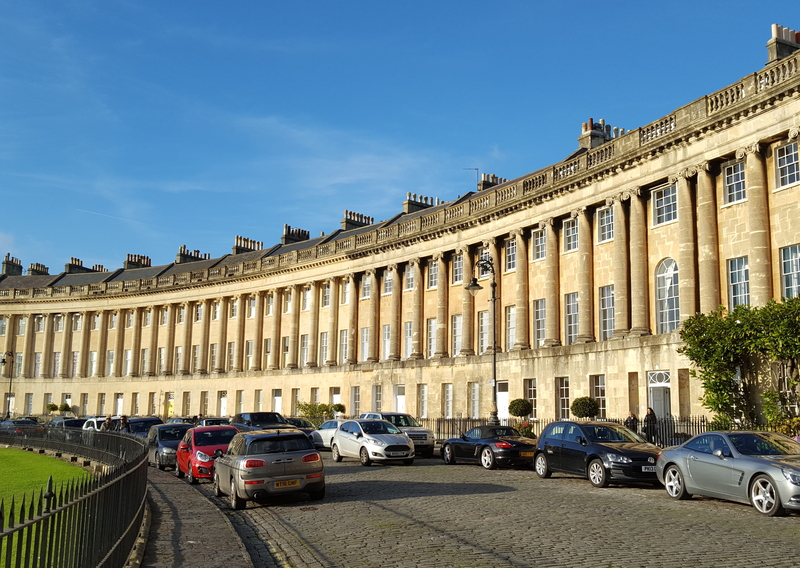 Soak up the timeless views of the Royal Crescent, find picture-perfect townhouses, circumnavigate the circus. Georgian Bath is quite simply stunning. One. You can avoid the crowds. Yes, Bath is busy at any time of year. It’s a bustling University city. But away from the peak summer season you’ll find far fewer coach-trips and spend more of your time sharing streets with the locals. Two. Winter time is beautiful. From the twinkling lights in glorious shop window displays to the artful-lighted Abbey, the city has incredible charm after the sun has set. But before this time arrives, the late afternoon sunshine and golden hour can be spectacular. Watch the sun set behind Pulteney Bridge or over the Royal Crescent to see Bath bathed in it’s best light. Three. It’s full of Christmas cheer. Whilst we tend to think of Germany and other northern European countries when it comes to Christmas markets, Bath proves that the UK can more than compete. Hundreds of market stalls selling everything from beautiful handicrafts, local preserves and gifts galore can be found clustered around the Abbey and Abbey Green. Yes, it’s packed, but it’s also packed with atmosphere and Christmas cheer. When you’ve had your fill of browsing, head to the après bar for some faux-Alpine festivities or tuck into a delicious gourmet burger or pie from one of the many streetfood stalls. Bath is practically perfect at this time of year. It’s bewitching charms are timeless and season-less. So, by all means come and enjoy a day, week or more in the summer sunshine – but if can get here now, do. Embrace the season of hot drinks, warm hearts and frosty mornings in the wonderful southwest. Bath is easy to reach by road or rail. Bath Spa station is on the London – Exeter mainline with services running early until late seven days a week. If you’re travelling by car, take advantage of the city’s Park & Ride services. They’re cheaper and easier than parking in the city centre, and you get a chance to take in the view over the city as you approach by double-decker bus.